Google has completely forgotten to doodle the birthday of the most well known personality in the world Charlie Chaplin. This year marks the 123rd birth anniversary of the late English comedy actor and director. The Homepage of Google doesn't contain the famous doodle for people to watch online. Google had recently put up a doodle signifying Robert Doisneau's 100th birthday, but people in various countries haven't even heard of Robert Doisneau. The doodle signifying Charlie Chaplin's birthday had to be compulsorily put up as he is very well known by people in all the countries of the world. 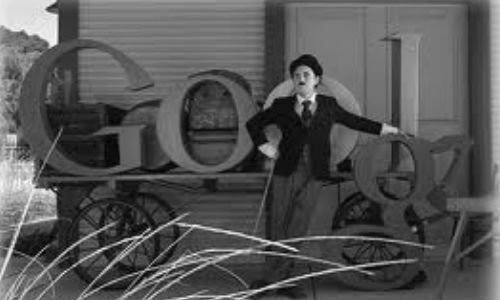 Google had put up a doodle last year a day before Charlie Chaplin's birth anniversary. But this year Google seems to have entirely forgotten the occasion. Had the doodle on the birthday of the late actor been put up, it would have been a fitting tribute to the legend and his legacy. Click here to watch last year's Charlie Chaplin's doodle and pay tribute to Charlie Chaplin.